Sure you are one of those who spend all day stuck in Netflix all day and not find anything new to watch. But not to worry, each month, Netflix renews his catalog in Mexico and brings new content so you don’t get bored with the same options. So as is usual, in October get new series and movies that will interest you. Some are brand new and others are more productions to old, but what is important is that there are for all tastes and ages. Discover with us, everything new on Netflix Mexico that arrives in September. In October, Netflix we re-connect with the witch Sabrina with their new original series. 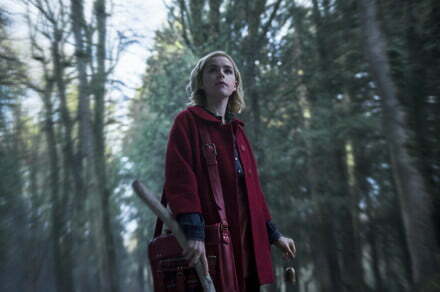 However, with Kierna Shipka embodying the new Sabrina, we’ll see a different story from the one you already enjoy in the years 90, but that will still full of witchcraft, mystery and adventure. The first season of this documentary series recounts the case of Steven Avery, a man who served 18 years in prison for a crime he didn’t commit, being accused of murder, together with his nephew. The series emphasis on dramatic analysis of the events that led to the prosecution of Avery and Brendan Dassey, eliciting responses from both the White House and Supreme Court. The second season explores the aftermath of these events, and the appeals made. The series that started the collaboration of Marvel with Netflix returns with a third season, and will have to achieve a lot to top the success of the first two seasons of the series, with the watchful blind Matt Murdock (Charlie Cox) and the memorable villain, Wilson Fisk (Vincent D’onofrio), as well as a tremendous cast of secondary characters.